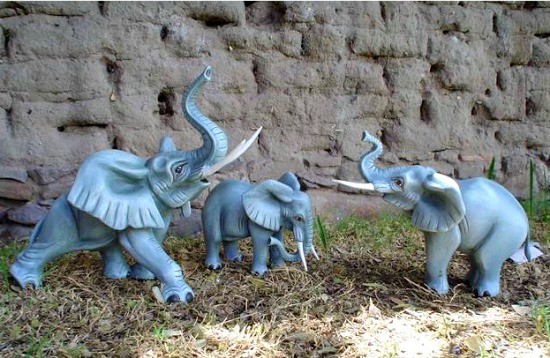 This fierce elephants were handmade and hand painted in Tonala, Jalisco by the Sermel workshop, which closed its doors for good in October 2013. The below testimonials earned our clients VIP Customer status. After my dad passed away I inherited a couple of art pieces from Mexico as I decided to check on the artist that had signed the pieces so I got in contact with Dyana when I saw their ad regarding religious art which has always interested me and as I had communication with her I noticed that they had several pieces of Amate drawings signed by Cristino Flores so I purchased one that I felt would preserve my Catholic upbringing and during this process I was very impressed with the promptness of the mailing and the caring to get it up here to Montana as quickly as possible. When it arrived the packing and care was very evident that I knew this business is there to serve me and any customer. The tube that the drawing was shipped in was big and heavy. So very impressive. Thanks again Dyana for your caring and prompt shipping. I will order again! I collect contemporary religious art and have been looking for amate paper drawings and paintings on sacred themes. Most of those I found looked like mass-produced pieces, so, I was surprised by the quality and craftsmanship of the Cristino Flores drawings on your website. Real works of art! The one I bought on the Last Supper is a great addition to my collection. Thanks, Copal. I ordered four papier mache butterflies. I have them resting on a stone wall. They are even more beautiful and substantial than depicted in pictures. They are very well made and I know that I will enjoy them for many years. Thank you Copal. 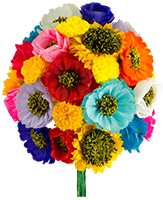 I ordered the paper flowers dahlias which came exactly as shown and exceeded my expectations! Dyana was wonderful and so responsive. I was amazed at the time she took to send me a demo video on how to unfold the flowers. Do not hesitate to buy from Copal! When in San Francisco, my granddaughter and I saw a painted fish mobile hanging on a porch. My granddaughter pointed at it every time we walked by. I contacted the homeowner to find out where I could get a similar mobile. Her sister had given it as a gift having found it on a trip to Cabo. Since I was not traveling to Cabo, I searched the internet and found Copal online. Dyana was able to locate the fish mobile for me and shipped it in a timely fashion. Actually, I bought 2 of the mobiles - one to give as a gift. Dyana was helpful. I am delighted! Thank you. A number of years ago, while visiting my sister in Cabo, I happened upon Copal (the brick-and-mortar version, now, sadly, gone). It was a beautiful shop with many wondrous items that we spent quite some time perusing. But what really caught my eye was the fabulous wall of papier mache butterflies. I bought 7 or 8 to put on the wall above my bed. Some time later, when my sister was about to come visit me, I asked her to pick out some more for me. This year, my husband and I were remodeling our master bath. We decided, what better way to decorate than with, of course, MORE butterflies. 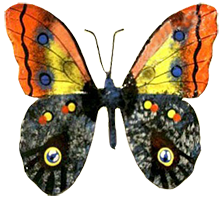 So I went online and Googled "papier mache butterflies" and what site did I find but the brand-new *online* incarnation of Copal. 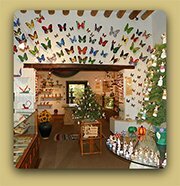 I didn't recognize the name, but there was a photo of the old store and there was that wonderful wall of butterflies! I couldn't believe it. So I emailed, asking about the butterflies, and Dyana sent me lots of photos of choices. SUCH hard decisions. I finally settled on 9 of them and they now adorn, and bring to life, our brand new bathroom! Dyana was fabulous to deal with. Very responsive and helpful. I wish her all the best in her new online venture! 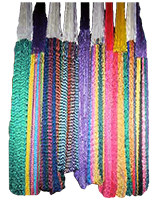 Many years ago I traveled to Yucatan with my parents and they bought me the most beautiful hammock, made with my favorite colors, turquoise and white. I used it a lot specially for naps and when I became a mom my kids grew to like it as much as I did. But 3 kids playing and jumping on the hammock were fatal and it was tore apart. Needless to say how sad it made me to loose my dear hammock. But there was nothing to do except to get a another one. 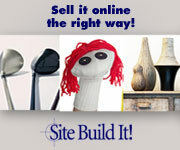 Surfing on the web I came across this site and asked them if I could order a custom made hammock. They were so easy going, I sent them pictures of my old hammock and soon I have ordered a Hammock the same size and colors as the one my parents bought me. The only thing I changed was the material as Dyana explained to me that Nylon is more resistant than cotton. My hammock was delivered to me a few weeks later and it is as beautiful and comfortable as the one I had! 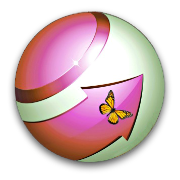 Thank you so much for your kind help and for the VIP discount which I am going to use buying some of your beautiful butterflies for my daughter, whose a butterfly lover! We love to get our clients’ feedback; it has always been our way to improve. Please take a moment and share with us and other customers how your shopping experience at Copal was. Let us know what you liked and what we should do better. Share pictures of the items you bought and tell us which area of your life they are decorating, or if you gave them as a gift to a special someone. Share as much as you wish, every contribution will help us be better and will help other clients to know about our items and our service. By sharing your shopping experience you will become a VIP client which will entitle you to a 10 % discount for life. Enter a Title for your review. Click here to see the rest of the form and complete your survey. Please click on this link to open the Shopping Process and Policies small window where you will find all you need to know about buying at Copal Online Store. Please click on this link to go to the Copal VIP Customer page, where you will learn how to attain a 10% discount in all your future purchases. For questions about the papier mache Sermel Elephants please use the form below. We promise to never share your data with any 3rd parties. Please write your questions in the box below.